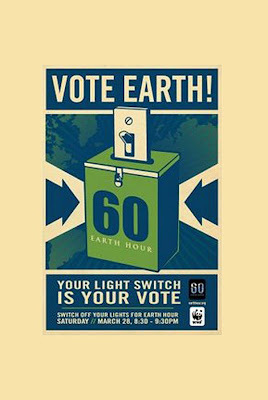 WHO: WWF, the Mayor of L.A. and other prominent business/civic leaders around the city will host a slate of events educating, engaging and encouraging residents to turn out their lights for Earth Hour. WHAT: Citizens of Los Angeles show the world how we can be a green role model and lead the way to a healthier planet. WWF identified L.A. as a leader in environmental issues and chose the city as a flagship location for Earth Hour '09, joining Atlanta, Chicago, Las Vegas, Miami, Nashville and San Francisco. L.A. is going to show everyone how we're combating environmental issues and that we're going to keep taking action. WHEN: Saturday, March 28, 8:30-9:30 p.m. in every time zone globally. WHERE: A citywide event will take place that evening and the locations will be announced leading up to March 28. WWF will announce more news and updates weekly. WHY: From melting glaciers to increasingly intense weather patterns, climate change impacts life on our planet. One person can make a difference, but it will take strong leaders and unified community action on the local, national and international levels to affect long lasting, significant changes.